If someone you know has just died, you should visit the wake to show respect. If you are far away and cannot visit the service, you could send a letter of sympathy. 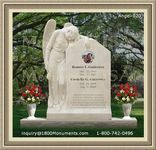 There are several ways to send funeral messages to the family of the deceased. Send a short note with a token showing empathy. Even if you are going to the memorial service, it is still appropriate to offer a letter to the bereaved. 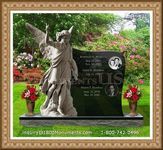 The content of your note will mainly depend on your relationship with the family and the deceased. It can be brief or long but should show sympathy, compassion and support. It is wise to remember that your letter may be read out loud by a family member during the memorial service. Given that, it is ideal to offer a letter in moderate length that expresses your close relationship to the dead. Make sure your message shows a tone of grief and empathy to those left behind. There are cards that already have printed words but it might be better to write a short note that expresses what you feel. Typically, a sympathy card would express both grief and compassion. It can be hard to express both emotions in a concise way. It is also difficult to begin letters for funerals. You can begin your note by stating a memorable event that you and the deceased shared when he or she was still alive. Do not be worried about saying something offensive or making your letter too long. What is important is to express what you are thinking and how you feel, ending it with a few inspiring sentences. Read and edit your work before sending your note of condolence to the bereaved family. Funeral messages are often given as a handwritten not, in a card, or sent with a bouquet of blossoms. 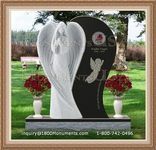 Be sure to offer it in an appropriate way and choose the right kind of flowers for memorial services.